Subject of game jam was: Believe in Reconciliation. 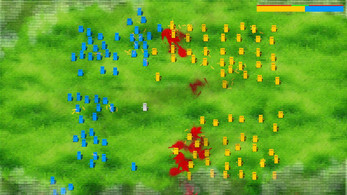 In game you control student and your goal is to prevent bloodbath between two opposing groups by pushing them out of the screen. Game consist of three main scenes (each have a little bit diffrent mechanics) and one secret scene. Way to final scene must discovered by you. It is possible to finish game, in order to do that you will need to show Believe in Reconciliation. Pamperek is word from local polish dialect (from region called Wielkopolska - Greater Poland) and it usually means anything that represents in some way person, be it a plastic soldier toy or even just stick man. Pamperkowy is adjective created from that noun. 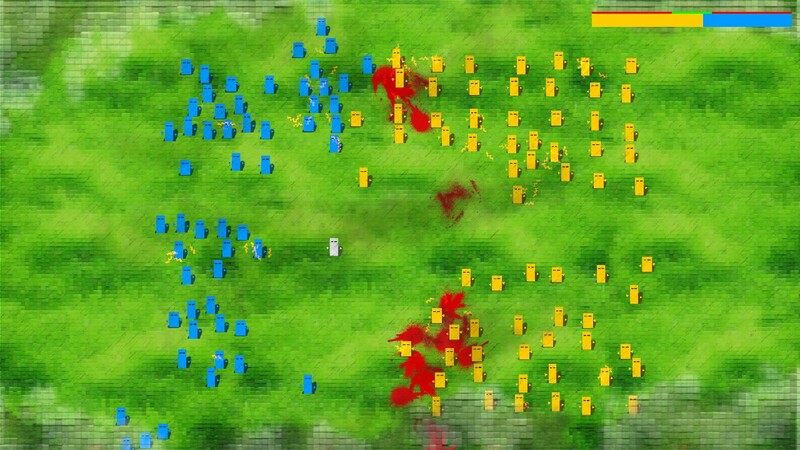 Made with libGDX and Box2D. You need will need Java 1.6 or higher installed. Just download .jar or .exe and double click it to start game.